The Paradise Road Duo was formed to share their love of Country & Rock and give their audience a taste of their artistic song writing ability with a real Country flavour. Katie's true passion is singing. Growing up there was always music in the house, either writing songs or having vocal lessons. Katie has a real passion for Country music and has performed at many events. She brings a modern feel, but also with her strong tones lots of heart and soul. One of her first singles came to her after an event she performed in, where they were raising money for the drought stricken farmers, at a Rural Assist Event in Pine Rivers North of Brisbane. 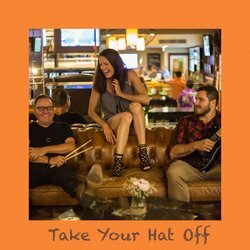 Take Your Hat Off is a touching song written for our struggling Aussie farmers. This beautiful song takes pride in our farmers trying to get by and make ends meet.